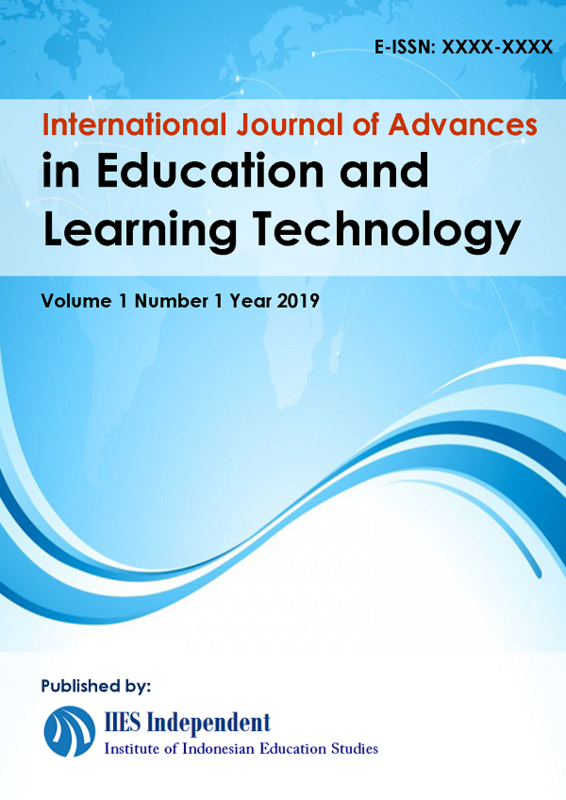 International Journal of Advances in Education and Learning Technology (IJAELT) DOI Prefix 10.33122/ijaelt by is a double-blind peer-reviewed journal that publishes original theoretical and applied papers on all aspects regarding education and learning technology. It is intended to be a multi-disciplinary international journal aimed at revealing results of research on advances in education and learning technology. All manuscripts submitted to International Journal of Advances in Education and Learning Technology (IJAELT) must be original, will be subjected to peer review and will not be published elsewhere. The aim of the journal is to publish original research, development and review articles to contribute to the development of educational and learning technology field. The articles should be original, unpublished, and not in consideration for publication elsewhere at the time of submission to the IJAELT. Every submitted manuscript to the IJAELT must be written in English and follow the Author Guidelines. Please read author guidelines. You have to make sure that your manuscript is prepared using the IJAELT template. If the manuscript does not meet the author guidelines or written in a different format, the article will be rejected. Only submitted manuscript that meets IJAELT format will be processed further. Please make sure that your paper is prepared using the IJAELT Template, Download here. We would like to invite you to submit a research papers to be published in the International Journal of Advances in Education and Learning Technology (IJAELT). IJAELT is new journal at the our institution, IJAELT welcomes research papers and literature reviews from various countries in the world that have high-quality on all topics related to multi-discipliner in education and learning technology area to publish in this journal. If you are interested to be editors or reviewers for IJAELT, please send an E-mail to contact@iiesindependent.org with mention the journal's name on Email subject: IJAELT Editor/Reviewer Application Include the following information: (1) Your full name; (2) ORCID ID, SCOPUS ID, or other researcher ID; (3) institutional affiliation; (4) education and degree; and (5) practice areas and research designs in which you hold expertise.